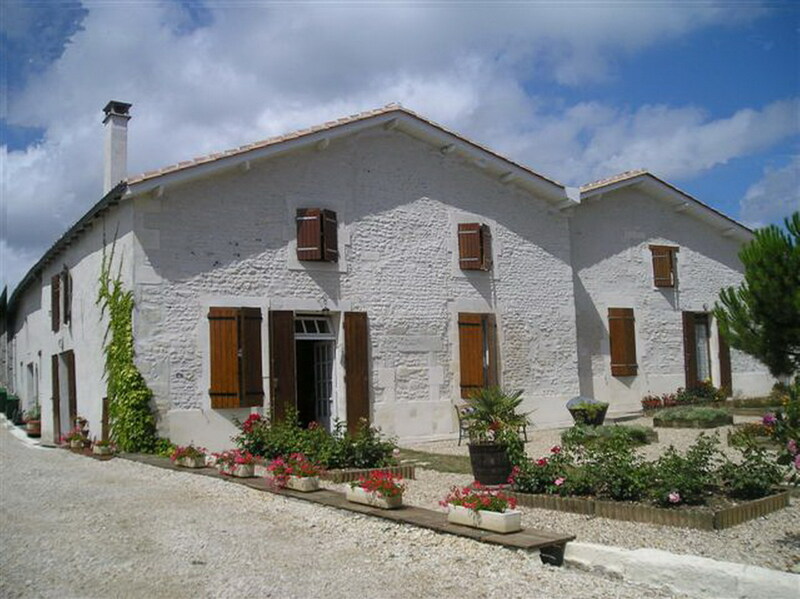 Claudy and Alain welcome you to their 18th century farmhouse, in the heart of the Charente vineyards. 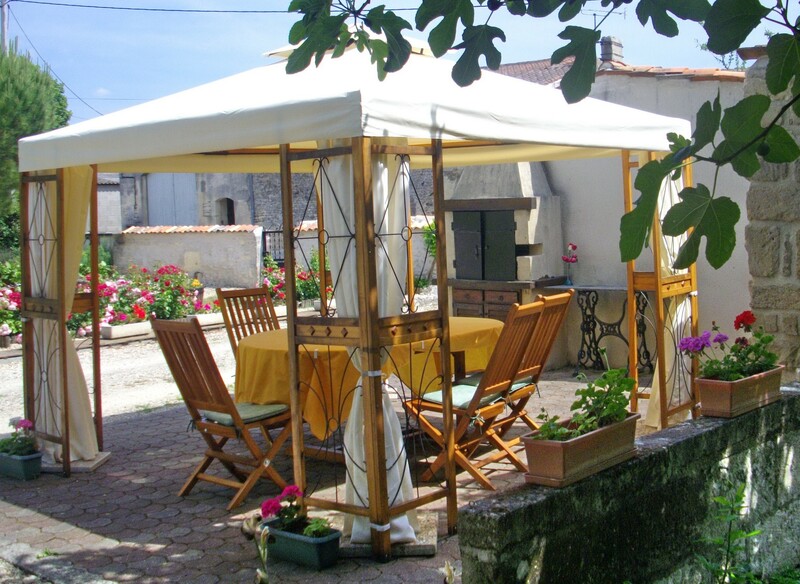 This quiet bed and breakfast is ideally situated near Cognac (10 minutes) and Saintes (15 minutes), Angoulême and the Atlantic Coast (45 minutes), La Rochelle and Bordeaux (70 minutes). 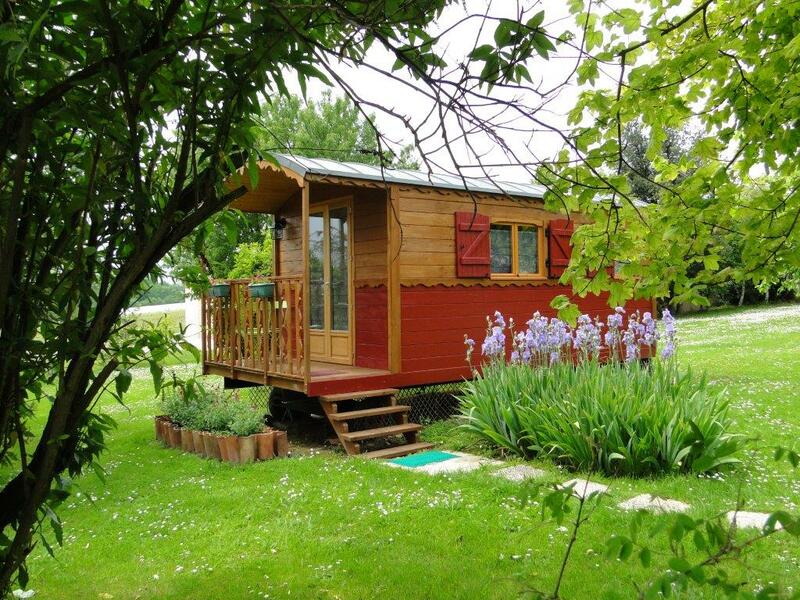 Two en-suite bedrooms in the house and one gipsy caravan in the garden. 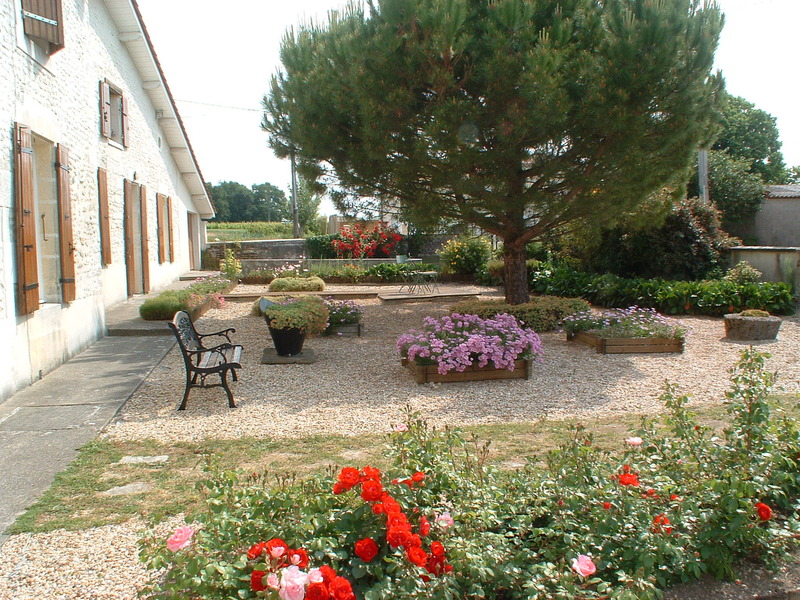 Less then 1 km from the village of Chérac, you will enjoy the quiet countryside and appreciate the garden with its picturesque view of the Borderie vineyards, which are well known for the production of Cognac. A picnic table is there for you. In the house, you will find lots of books, games, guides and tourist leaflets (in French or in English). There is a fridge in the dining-room. 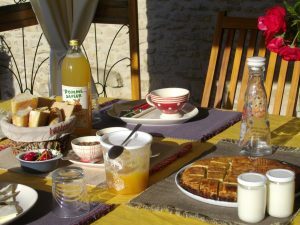 A generous breakfast, with homemade pastries and jams will be served to you in the dining room or on the terrace. For your visits, Alain and Claudy, keen on regional history and tourist attractions, will take pleasure in advising you on short or long trips. 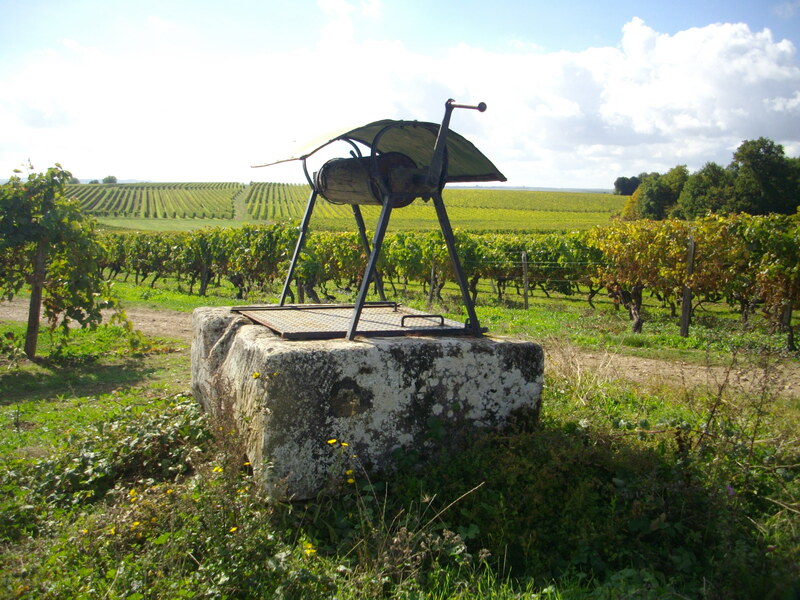 If you enjoy sports or shopping, the proximity of the Charente river (5 kms), two large golf courses, the towns of Saintes (15 kms) and Cognac (12 kms), offer a varied choice. Thinking of settling soon in our area or already an established resident, our neighbour Andrew is here to save you time and help you. If you have a question, a problem… don’t hesitate : Ask Andrew Now ! 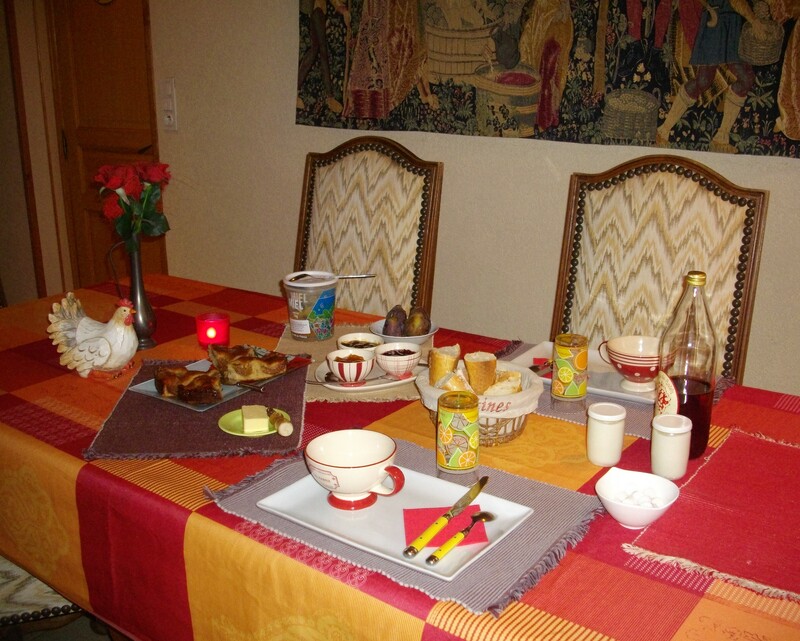 For your meals, there are restaurants or country inns to appreciate the local specialities. You can also profit by the garden picnic table in the evening.